We are happy to inform all Shakespeare lovers around the globe about new Festival on the map. Turkey welcomes the Bard of All Time. 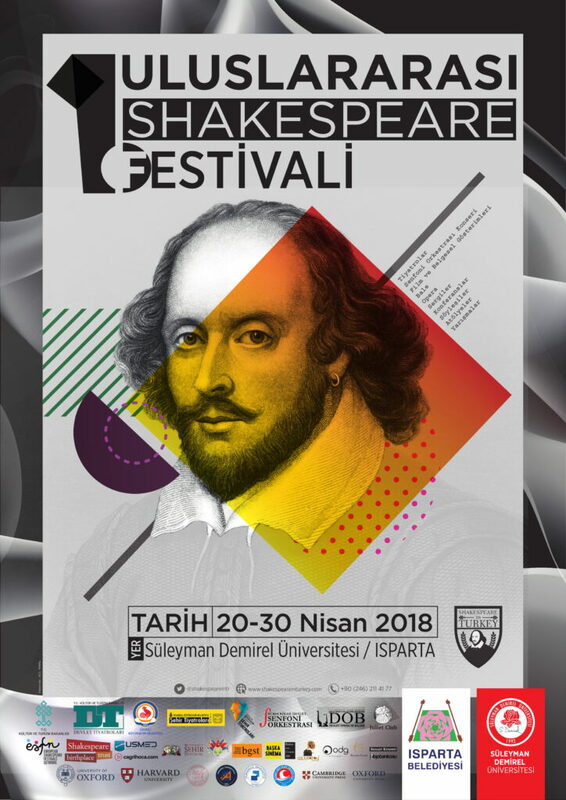 You are warmly invited to the first Shakespeare Festival in Turkey from 20-30 April 2018 organised by the English Language and Literature Department at SDU in Isparta. All the world’s a stage, and we hope you will join us to enjoy the Bard’s timeless words and themes. Festival events will take place in Isparta, Antalya and Burdur around the date of Shakespeare’s birthday. The first Shakespeare Festival in Turkey under the auspices of Suleyman Demirel University and Isparta Municipality. Plays, poetry readings and lectures in both Turkish and English will enable you to savour the delights of these great works. The staff and students of SDU assisted by a number of eminent international figures will present the words and ideas of the Bard for your appreciation and enjoyment. In addition to performances and presentations Shakespeare’s plays and poetry, the festival also includes live talks and discussions involving a number of world-renowned scholars. We look forward to enjoying the pleasure of your company.